Exporter of a wide range of products which include bedini diaphragms and gn group diaphragms. 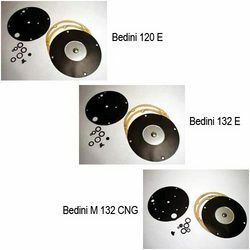 Our company is a highly reliable name involved for many years now in the field of manufacturing and supplying of premium quality Bedini Diaphragms. 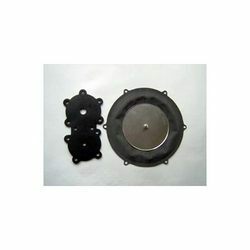 These Diaphragms are very precisely finished and provided in different configurations as per the requirement of customers. In addition to this, the whole range of these diaphragms has minimum maintenance requirement and a long lasting life. We have been actively engaged in offering GN Group Diaphragms. These are made using sophisticated tools and techniques under the strict supervision of our expert professionals. Moreover, our professionals test these products on specified parameters for ensuring that a quality range is offered to clients. These are suitable for GN Group CNG kits. Looking for OMVL Diaphragms ?